It’s a common misconception to think of concrete as an impenetrable solid. And understandably so, given that it’s a hard, durable building material that (in conjunction with underlying rebar and structural steel) reliably carries the loads on our floors, driveways, bridges and buildings. But under the microscope, concrete is anything but impenetrable. In fact, the capillaries and pores (voids) that are visible throughout concrete give it the appearance of Swiss cheese and make concrete highly permeable and absorbent. 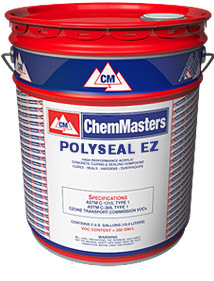 Those voids are the natural result of concrete chemistry, as mix water is consumed by a chemical reaction called “hydration” in which water reacts with cement to form concrete. Additional capillaries and pores are created when excess water exits freshly placed concrete in the form of "bleed water". But those voids also serve a functional purpose to protect concrete from freeze/thaw damage and increase its durability in northern climates. Another misconception about concrete is its relative strength. Although concrete is very strong in compressive strength (load bearing), it is relatively weak in tensile strength which is a measure of cohesion, or ability to resist being pulled apart from itself. Squeeze a rubber band between your fingers as hard as you can, and you’ll find that although it flexes, you’re unable to break it. That’s compressive strength. Now grasp that rubber band in both hands and pull it apart. Chances are you’ll quickly reach a point where the rubber band can no longer hold itself together, and it breaks under the tensile force you’ve applied. Both tensile and compressive strengths are measured in pounds per square inch, or “psi”. Concrete is much the same as that rubber band. Although quality concrete often exceeds 4,000 psi compressive strength, its tensile strength is only about 1/10th as strong. As a result, concrete can carry very heavy loads but is susceptible to factors that develop forces within its structure that want to break it apart from itself. One of those factors is water; or more accurately, freezing water. As anyone who has left a beverage in the freezer too long knows, water expands when it freezes… by about 10%. And although 10% may not seem like much, it’s enough to burst a glass container, and enough to “burst” concrete as well. Water absorbs into the capillaries and pores of concrete from the surface, and condenses from water vapor transmitting from the bottom as well. When temperatures drop, that water freezes and expands, placing the top layer under elevated tensile forces. If those tensile forces exceed the tensile strength of concrete, it may “burst” apart in the form of scaling, pop-outs or delamination. You might believe this phenomena is restricted to northern climates, but many of those areas get cold and stay cold, limiting freeze/thaw cycling to late fall and early spring. Warmer climates often see temperatures dip below freezing each night, and rise above freezing each day, resulting in more frequent freeze/thaw cycling. 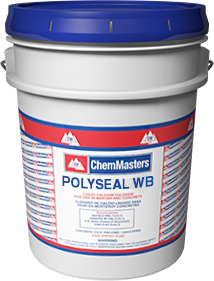 The use of deicing chemicals can create artificial freeze/thaw cycles by temporarily lowering the melt point of snow and ice, creating water. But eventually that water will freeze again, and expand. 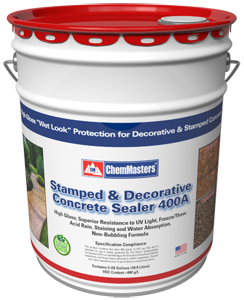 Deicing chemicals will also allow concrete to become “super saturated”, and hold more water. More water means more expansion as it freezes. Here’s where the capillaries and pores within concrete perform a critical function for the durability of concrete subject to freeze/thaw cycles. Those voids allow for expansion as ice forms and reduce the tensile forces on concrete. They provide room for those ice crystals to grow without causing the concrete to burst apart. As a result, there are specifications for the amount of air (void structure) required for exterior concrete in order to increase durability. 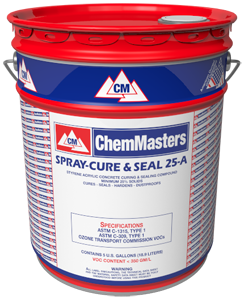 There are even “air entraining” ad mixtures that can be part of the concrete formulation to ensure adequate air structure (typically 6 to 8% at the surface). ASTM E 514 "Standard Test Method for Water Penetration and Leakage Through Masonry"
ASTM C 672 "Standard Test Method for Scaling Resistance of Concrete Surfaces Exposed to Deicing Chemicals"
ASTM C 642 "Standard Test Method for Density, Absorption, and Voids in Hardened Concrete"
ASTM E 96 "Standard Test Methods for Water Vapor Transmission of Materials"
ASTM D 1653 "Standard Test Methods for Water Vapor Transmission of Organic Coating Film"
NCHRP 244, Series II "Reduction of Water Absorption & Chloride Ion Intrusion"
Penetrating water repellents will protect concrete from freeze/thaw damage without changing the surface appearance of concrete, while film forming sealers will provide freeze/thaw protection along with stain resistance and along with cosmetic changes (darkening of concrete, gloss, the use of pigments, etc). 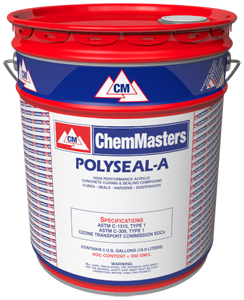 Once installed, the use of water repellents and sealers is the best method to ensure its long-term durability and strength. 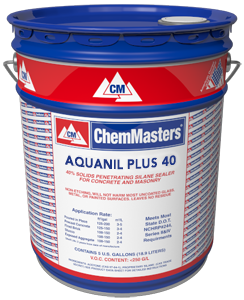 Aquanil™ Plus 40 is a penetrating, chemically-reactive 40% solids alkyltrialkoxy silane, solvent-based silane sealer. 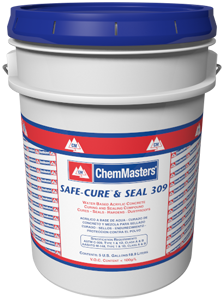 It repels moisture and water from concrete and masonry. 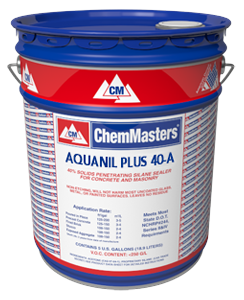 Aquanil Plus 100 is a penetrating, chemically reactive alkyltrialkoxysilane ›95% solids, solvent based silane sealer that repels moisture and water from concrete and masonry. 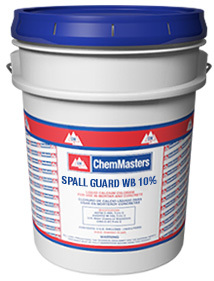 SpallGuard WB-10 a penetrating, chemically reactive, solvent-free, silane modifed siloxane emulsion designed to be a moisture and water repellent for concrete and masonry. Traz 25 is a film forming sealer for concrete and masonry. 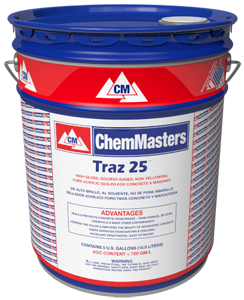 Traz 25 is formulated with methyl methacrylate polymers that develop high gloss and are more chemical resistant than standard acrylic sealers.